Countless Filipinos are recognized as modern heroes for their commitment and sacrifices to provide only the best for their families. As a brand that recognizes the Filipinos’ Sarap ng Pagsisikap, Chooks-to-Go is giving Pinoys more reasons to celebrate their sweet successes as it launches its Chooks-to-Riches promo. 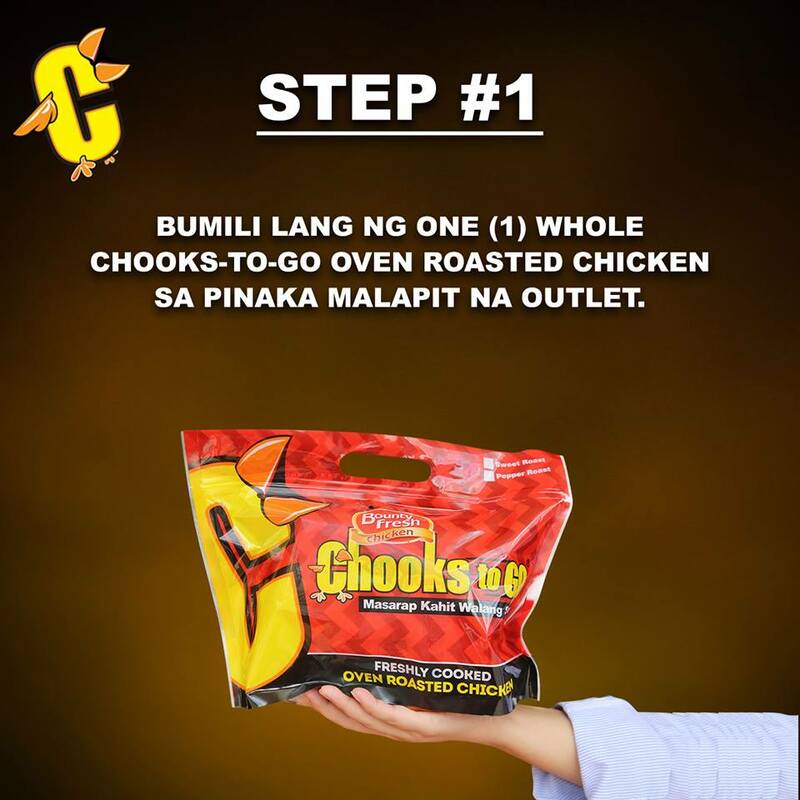 With its latest promo, Chooks-to-Go is rewarding its loyal and hardworking customers who have been making the deliciously roasted chicken a part of the family’s everyday meals. This promo is Chooks-to-Go’s way to show its love and gratitude to its loyal customers. Chooks-to-Riches is giving twelve (12) winners a chance to take home P100,000 in cash prizes, tax-free. To qualify for the promo, customers must make a single receipt purchase of at least one (1) whole Chooks-to-Go oven roasted chicken of any variant (Sweet Roast, Pepper Roast, Fried Chooks). To earn entries, customers need to send their complete name, address, official receipt (OR) number, and total transaction amount via text message to 2256. Chooks-to-Go will be raffling off three (3) winners per weekly draw, starting June 27, 2018. With Chooks-to-Riches, Filipinos now have more great reasons to savor their favorite masarap kahit walang sauce na litson manok and have wonderful dining experiences with friends and family. This promo is available in Chooks-to-Go outlets nationwide from June 12 to August 11, 2018. For more information, visit chookstogo.com.ph or facebook.com/chookstogo.